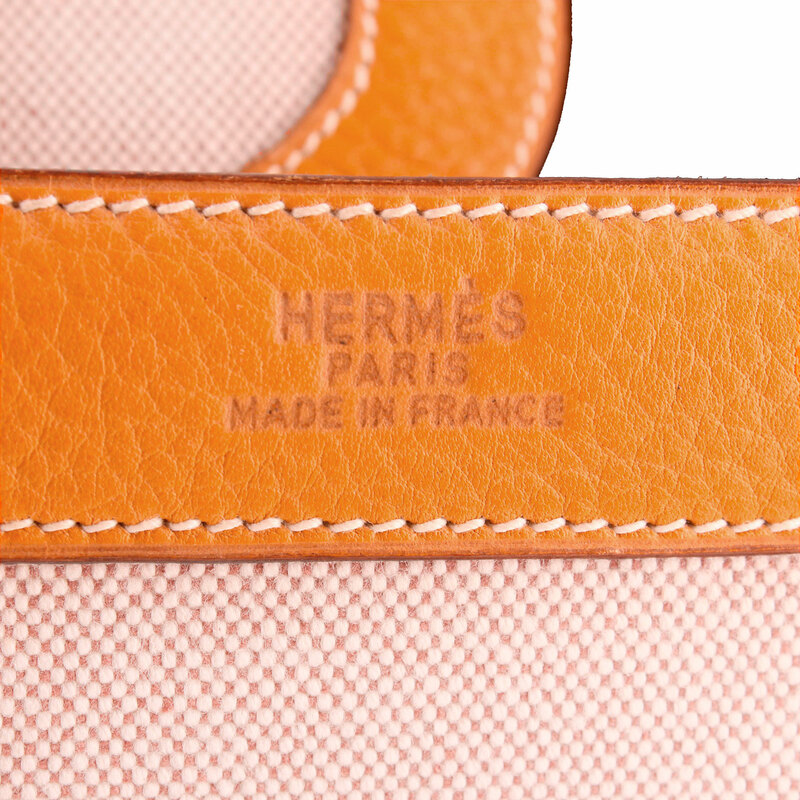 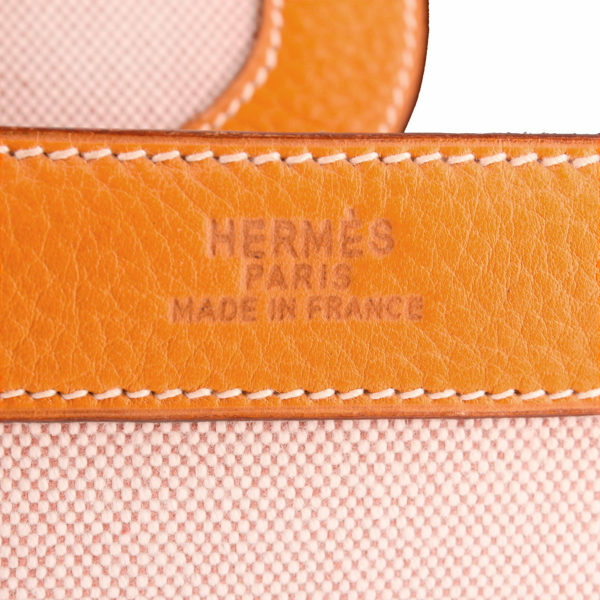 Hermès Bagage Drag in Clémence leather and canvas. 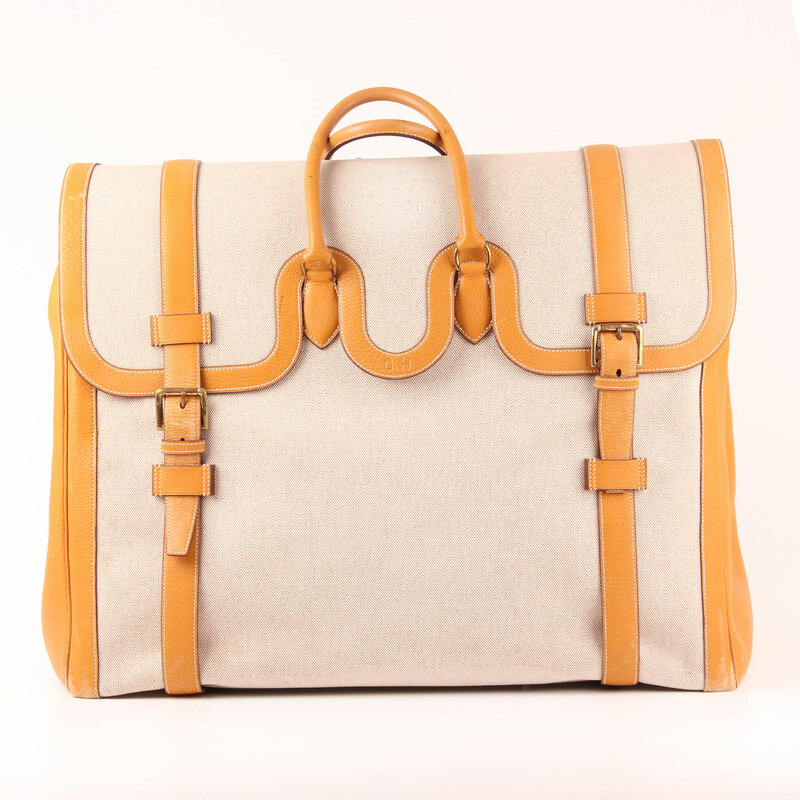 A cute vintage piece made in clear colours that will enlighten your summer vacation. 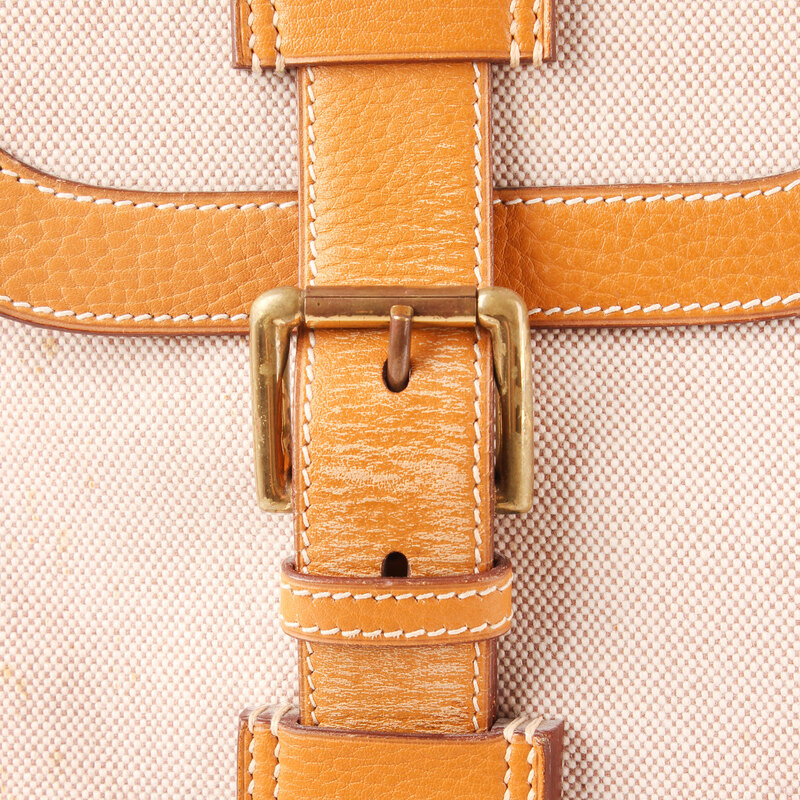 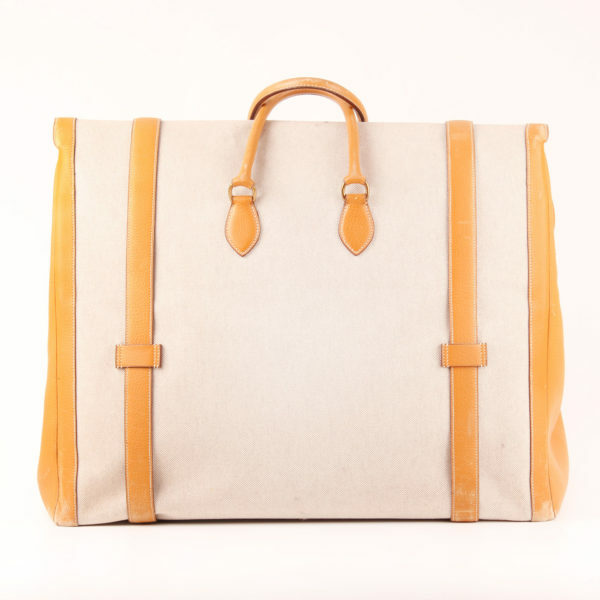 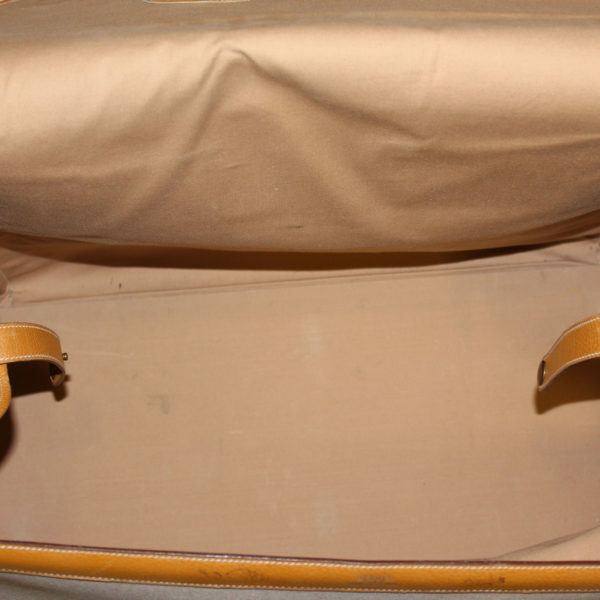 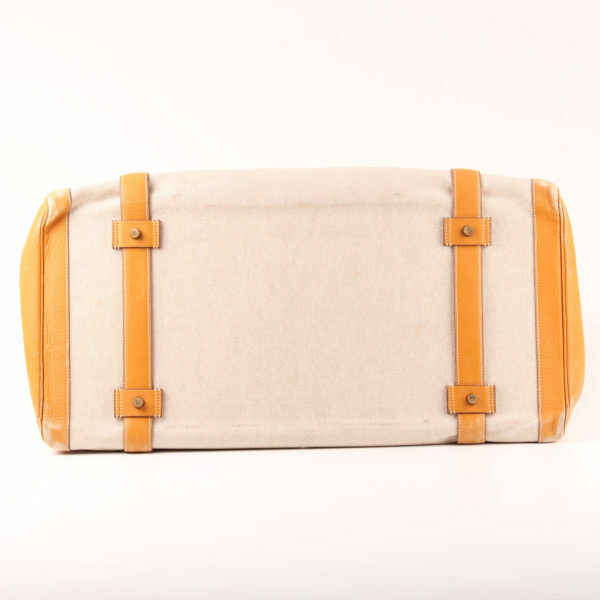 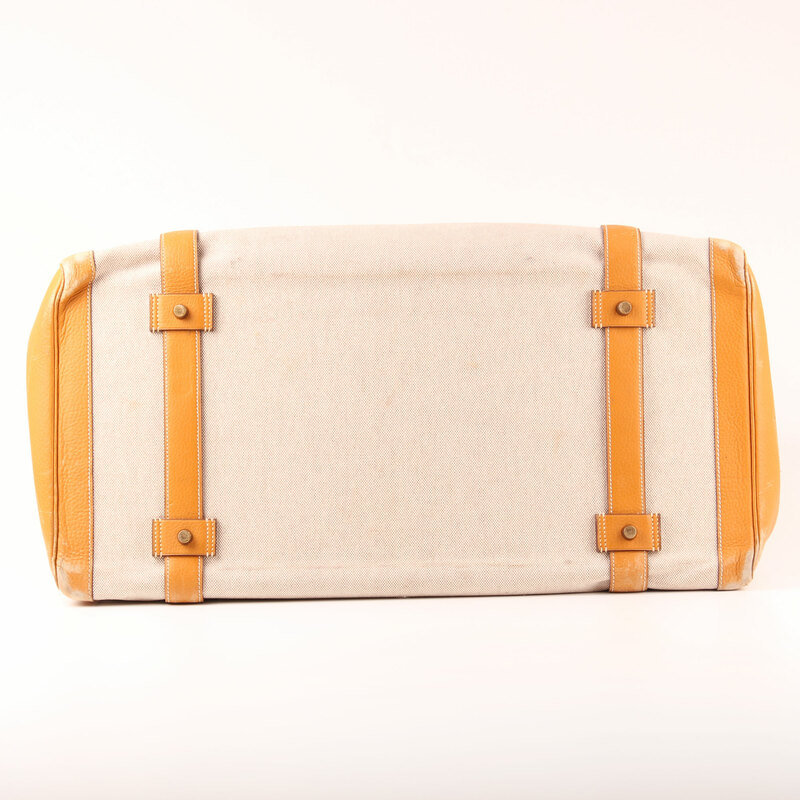 In between a travel bag and a suitcase, this Hermès Bagage Drag in Clémence beige-yellow leather and ecru H canvas is a vintage piece from 1988. It closes with two buckle fasteners and a flap; it features gold hardware and a single handle. 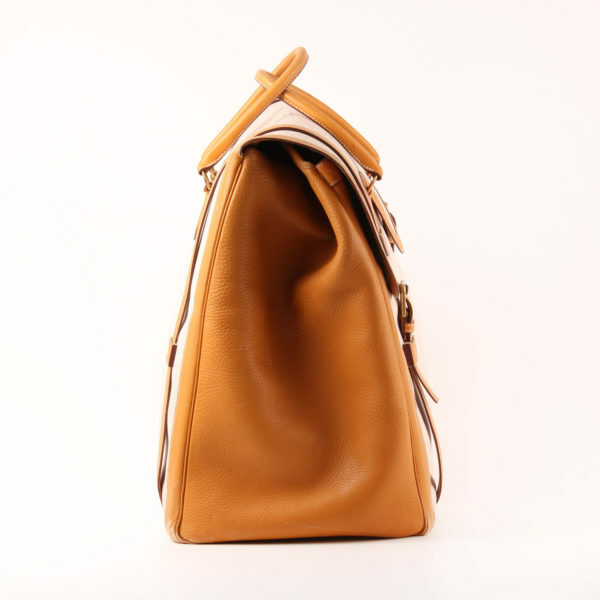 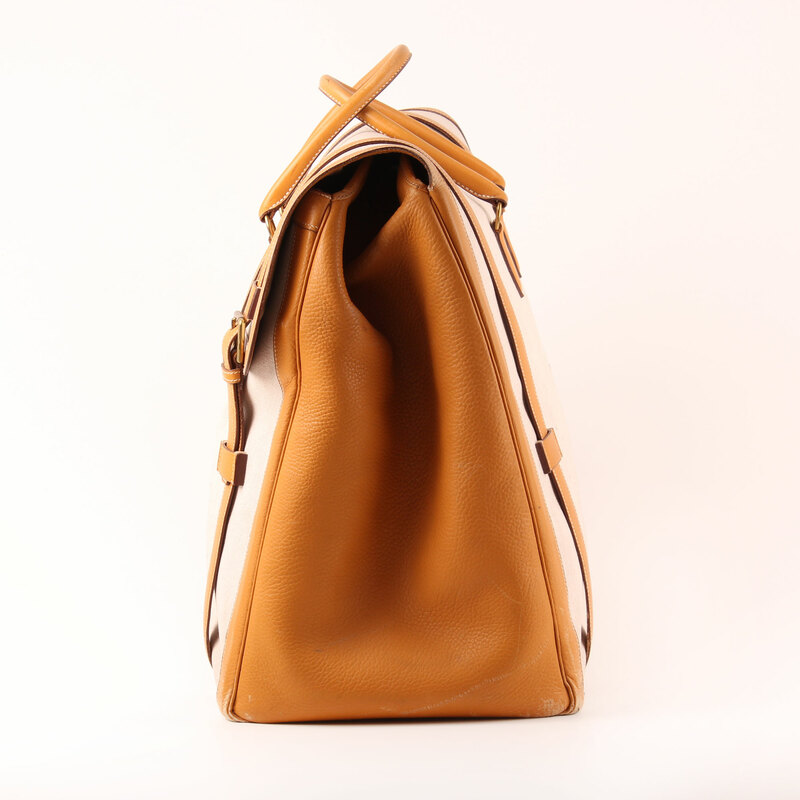 The item is reinforced at base and has leather trim and sides. 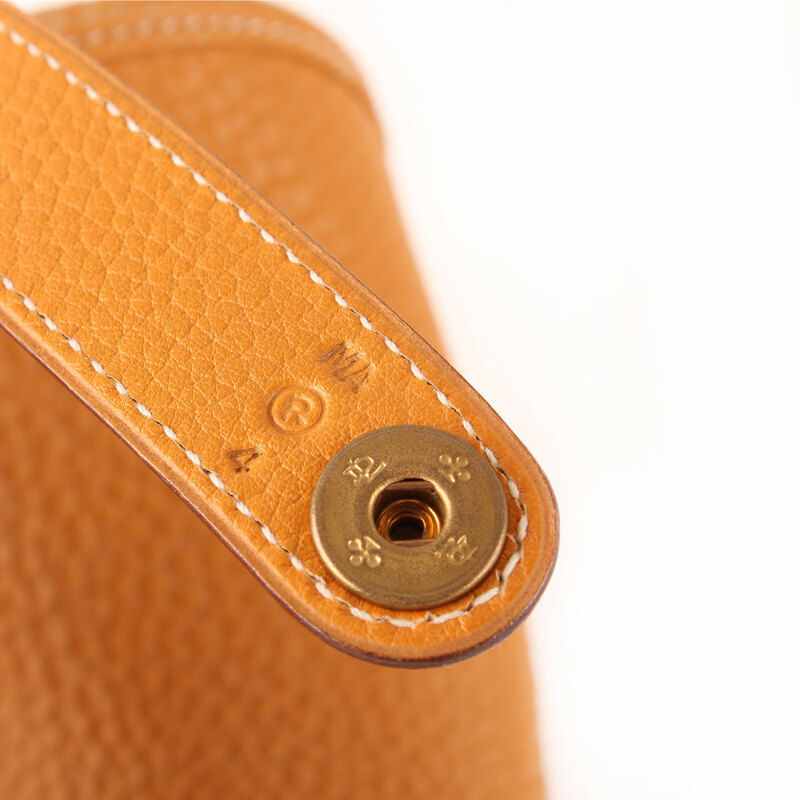 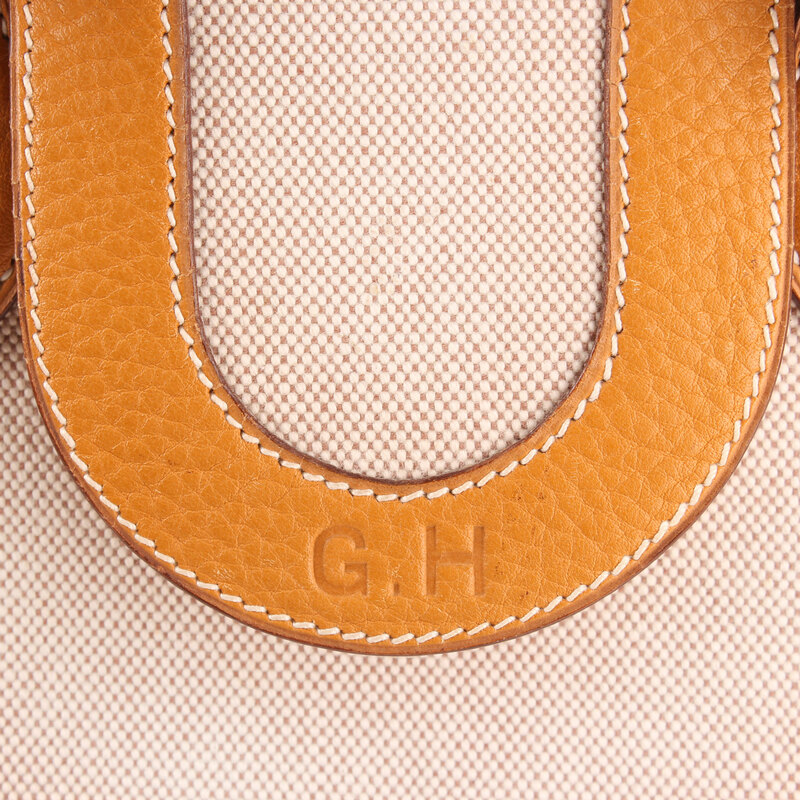 G.H initials are engraved in leather on flap’s front part. Details: Signs of wear (little bit chapped) in leather trim and base. Spots and darkening in lining and canvas.